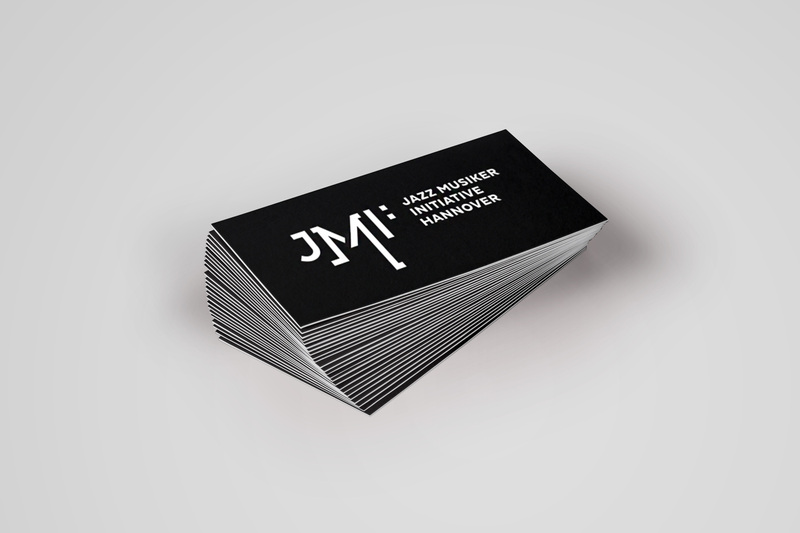 Visual identity for the Jazz Musiker Initiative Hannover e.V. 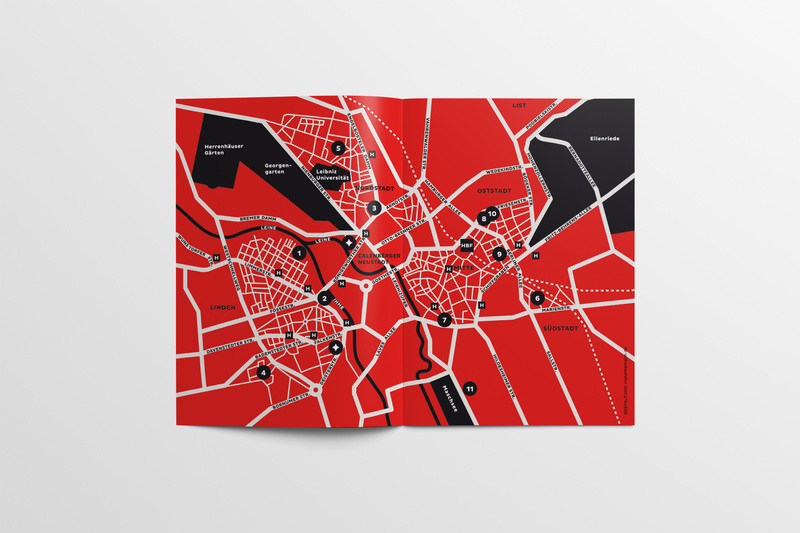 who organizes the annual »Jazzwoche« in Hanover. The dancing letters J, M and I are inspired of sheet music and refer to the past logo. A colon of a bass clef is added to the abbreviation. Thereby the association appears as noticeable initiator and umbrella organisation in different media. Is this looted art? The staff of Zeppelin Museum Friedrichshafen has been asking themselves this critical question in view of their collections and have been digging deeper into their own history. 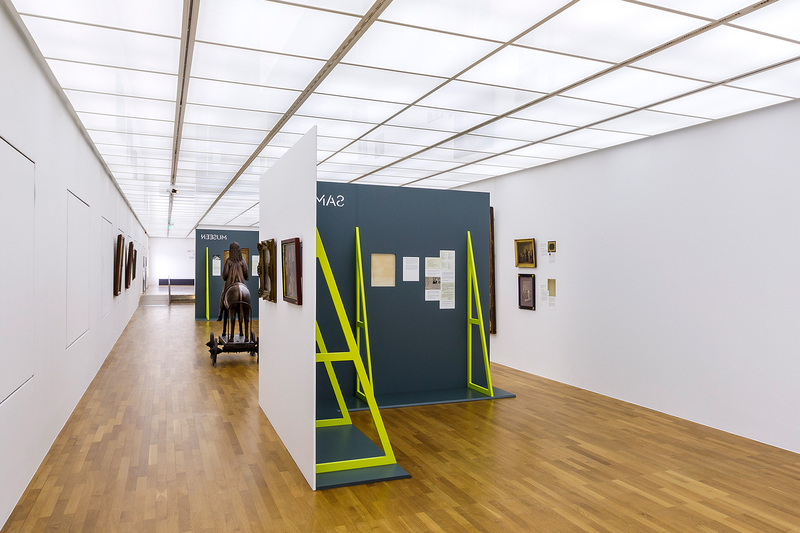 At the first view the exhibition architecture shows a classical art presentation. 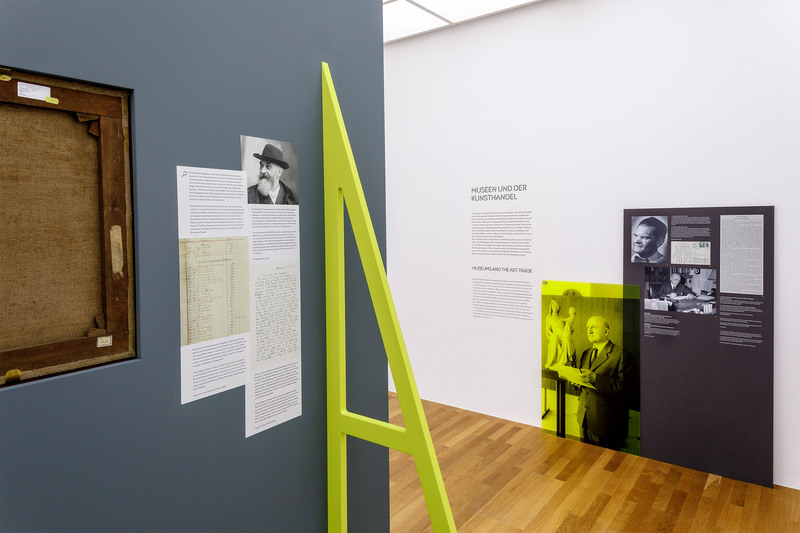 At a second glance the visitors can see behind the scenary and learn about the stories behind certain objects, see how connections of important art dealers are drawn and dive into their multilayered histories which are shown on a mix of semitransparent and opaque materials. 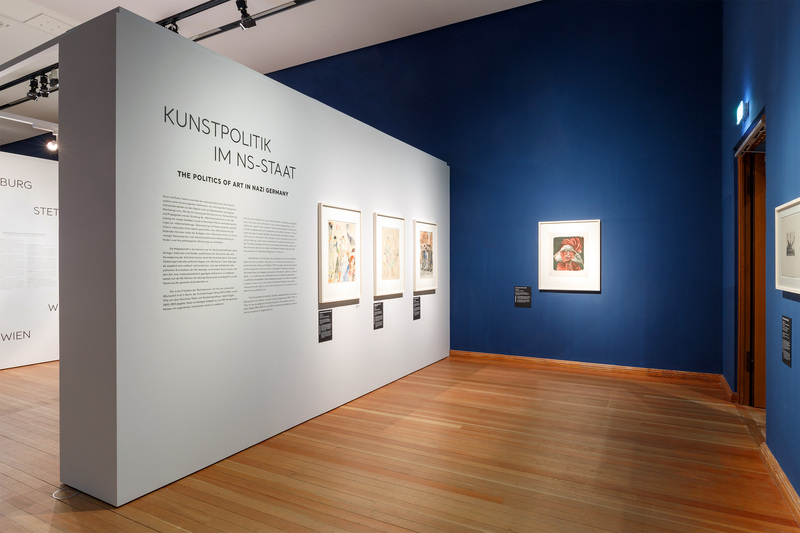 In the exhibition at the Gropius Bau, the Bundeskunsthalle Bonn and the Kunstmuseum Bern traces the twists and turns of Hildebrand Gurlitt’s career. The colour palette were carefully chosen in relation to the paintings and remind one of the colour ranges of Le Corbusier or classical art gallery colours. They are giving a strong contrast to the black and white exhibition architecture. 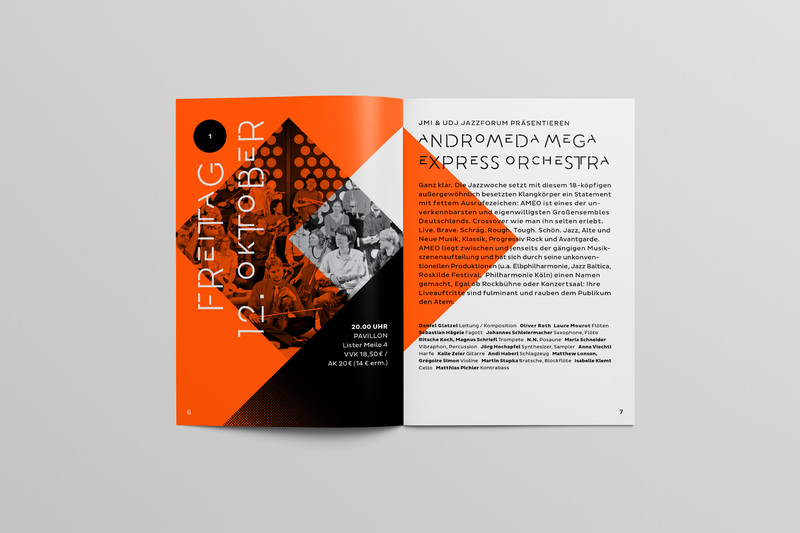 Spacious typographic titles provide orientation. 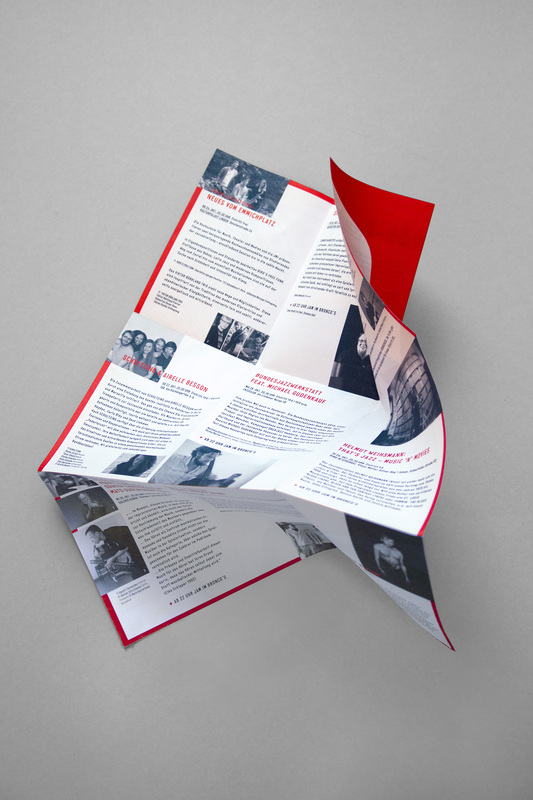 A recurring timeline gives insight to the historical background. 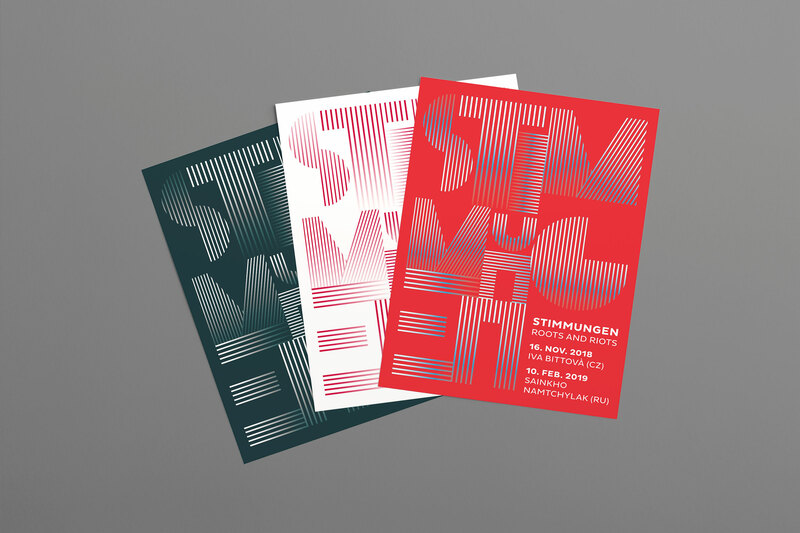 The exhibition closes with the impressive »Werkstatt Provenienz« where visitors can research themselves. 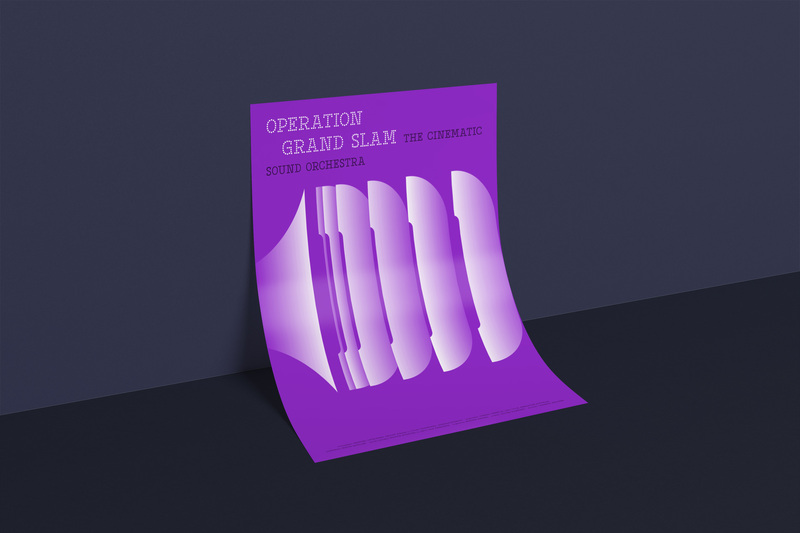 Poster for the bigband Operation Grand Slam. Under the claim »The cinematic sound orchestra« the band plays cinematic funk / jazz-rock from the 60s which was interepreted by an abstract graphic element. 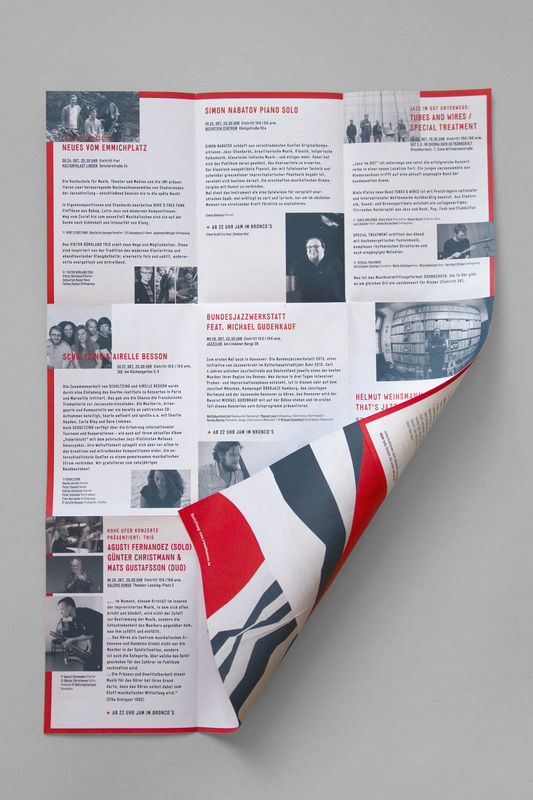 The exhibition is looking back at the innovative potential of the enterprises in the concern founded by Count Zeppelin, while it also looks to the future and illustrates the strategies the businesses developed to remain marketable and globally successful. 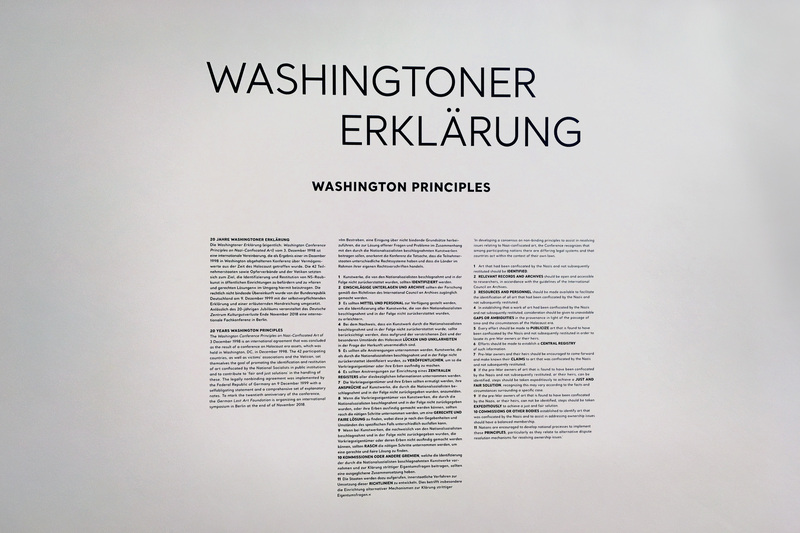 Two crossing path – innovation and hands-on path – guide the visitors through the exhibition. The exhibition steps range from airship travel and lightweight construction in aluminium to the construction of satellites and components for space travel. Like newspaper headlines texts and pictures are floating around and explore the innovative potential of the groundbreaking objects. The whole exhibition architecture is built of OSB and staged as a »maker lab«. In contrast atmospherical projections on high-gloss mirrors underline the innovative high-tech character of the objects and put them into context. 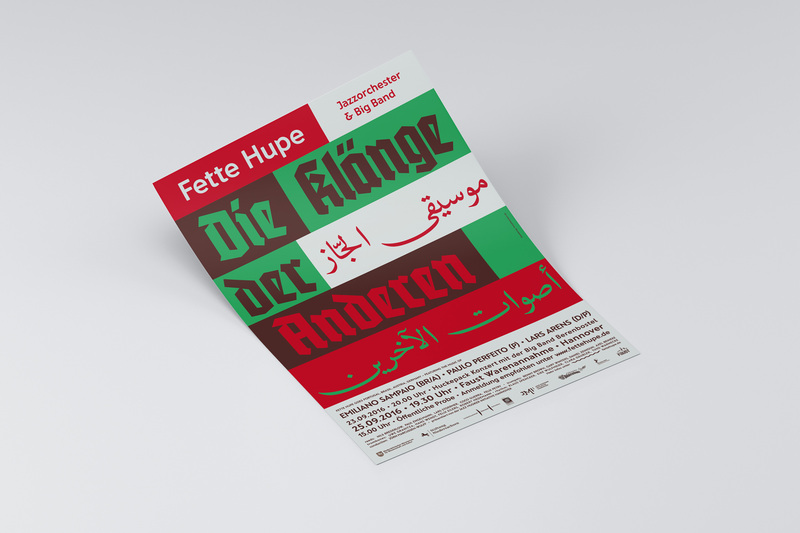 Poster and booklet for annual jazz festival in Hannover. 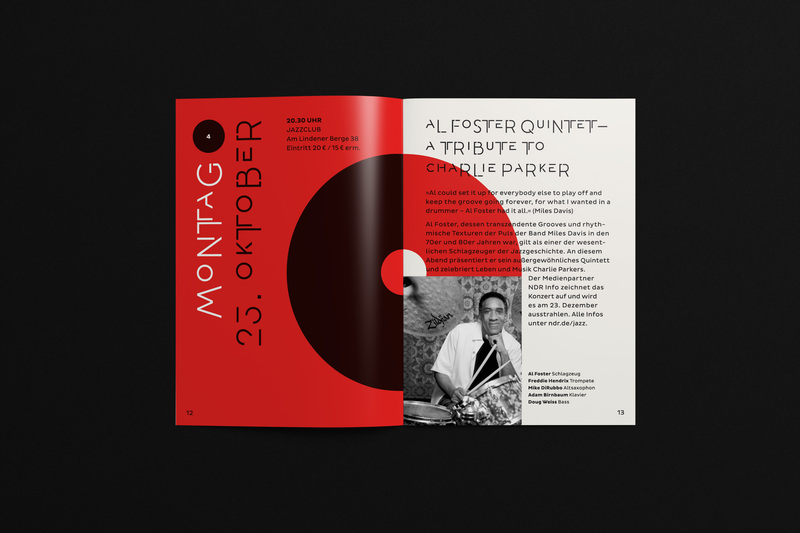 The key visual is related to the 40-year anniversary of Jazz Musiker Initiative Hannover. 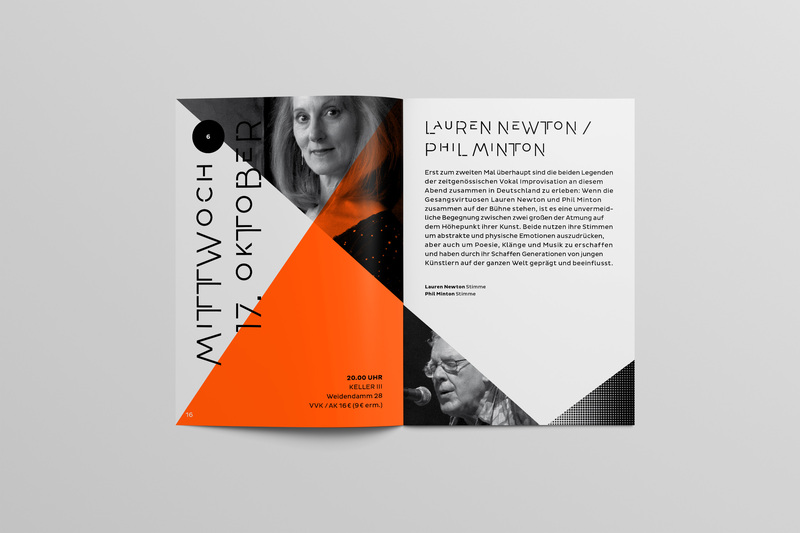 Graphics for a series of concerts in Cologne with a focus on experimental vocal art. 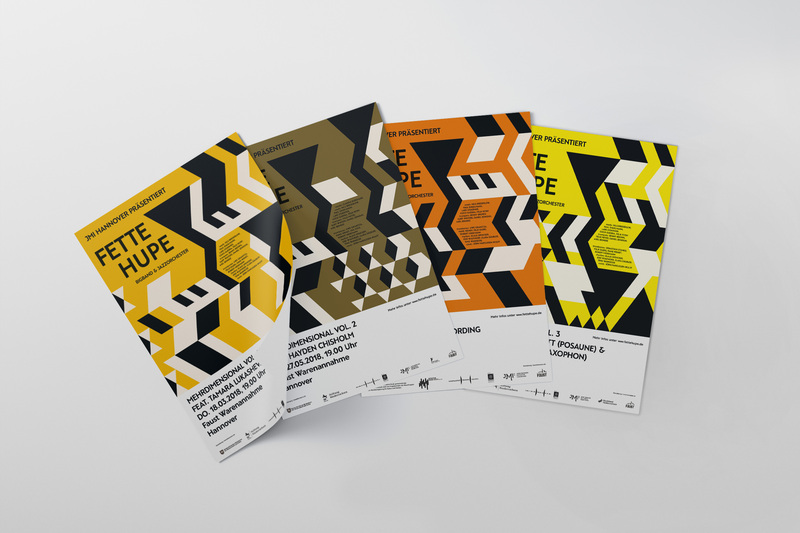 Visual identity for the 24th UDJ Jazzforum and its focus on equal opportunities in jazz music. Album cover and different poster series for the jazz big band Fette Hupe. 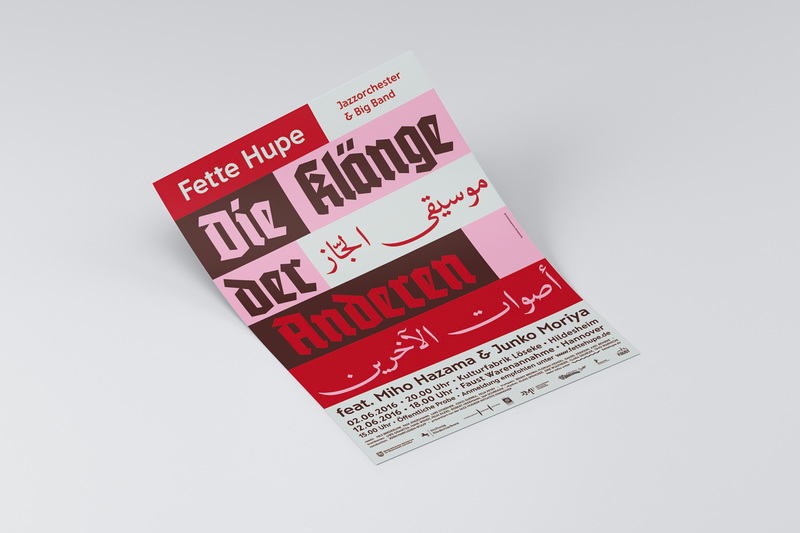 Typographical posters for a series of concerts with the topic »culture clash« with music from international guests. 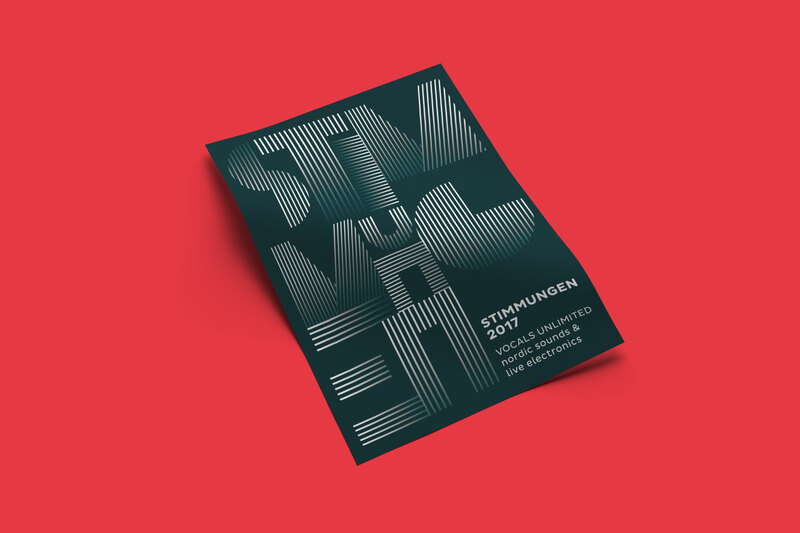 Poster and folded program flyer for annual jazz festival in Hannover with a key visual of flowing lines, which in turn resemble staves, and give the impression of a musical score.